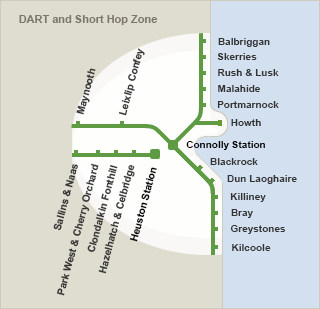 TFI Leap Card can be used on DART and commuter services in Dublin and Cork. TFI Leap Card fares are at least 20% cheaper than cash single tickets on DART and commuter rail. They are also 12 – 20% cheaper than cash return tickets. For details on fares, check out our fares section. You can also benefit from TFI Leap Card Capping and Leap 90 Discounts when using Travel Credit to pay for your trips in the Dublin area. These discounts are applied automatically, so all you need to do is Touch On and Touch off as normal. Please note: TFI Leap Card cannot be used on intercity train services. 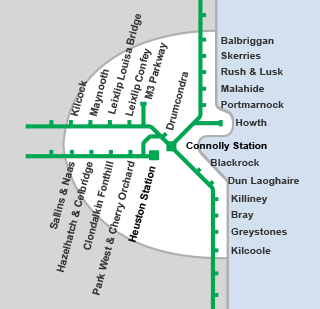 It can only be used to travel on train services within the regions illustrated above. When travelling by rail with your TFI Leap Card, touch your card on and off the Validator / Gate when entering and exiting the station or platform. Note: A default fare is deducted from your Travel Credit when you Touch-On. When you Touch-Off the appropriate amount is refunded to your card. If you forget to Touch-Off, the default fare will be the final fare charged for the journey. You can check your Travel Credit balance and Top-Up your TFI Leap Card at ticket machines in stations in Dublin (Cork coming soon). 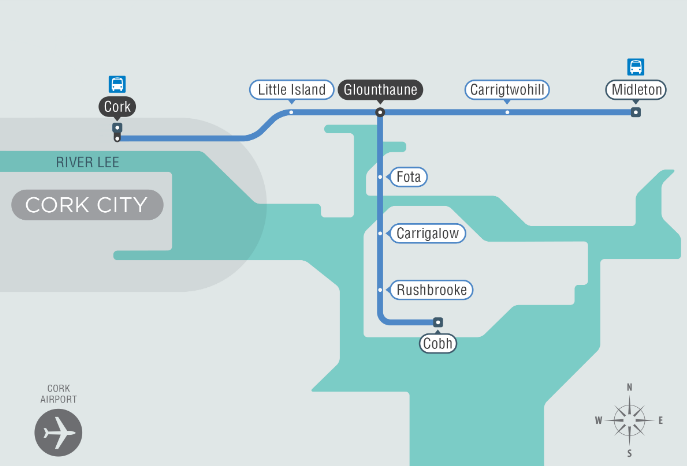 Visit www.irishrail.ie for more details about using your TFI Leap Card on train services.